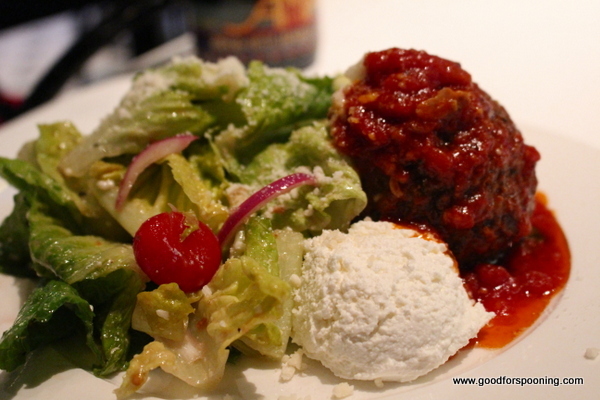 Sister Nancy has been talking about Martorano’s meatballs for years. She is a complete devotee. 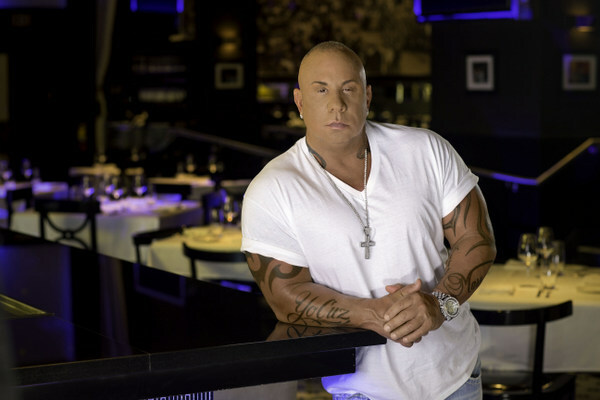 So when Las Vegas Food & Beverage Professional sent me to meet with Steve Martorano for a piece for the May issue – not out yet – I jumped at the chance. I really liked this guy and because we had such a great chat, I decided to share with you a much more in depth version of our discussion here. He was even so open that when I mentioned Nancy’s adoration, he said, “Call her. Let me talk to her.” So I did (Yeah. Best. Sister. EVER.). And stupidly there are no pics of him and me together! This is a longer piece than usual, but the subject matter demanded it! He said as an only child he learned to do stuff for himself without relying on siblings to help him out, but notes that his mother spoiled him. I get that, being the mother of an only son. However, growing up in south Philly, Steve had few choices for a career. He could go into the “family business”, aka The Mob, and spend part of his life in jail like friends and family, or he could work hard and live hand to mouth. He wanted more, but had no vision of what that “more” would look like. His dad owned a neighborhood bar and Steve convinced his dad to let him put food on the menu one night. It was something his dad had never considered before, and he was dubious about the success of bringing people into his bar to eat, flat out saying, “It’s not gonna work.” Steve went ahead and did it. He sold out the room and then his dad said, “Ok, what’s next?” What came next was a series of small business ventures which grew into the business he has now. Steve is passionate about his food. He refuses to compromise on quality at any stage of the process. “Gravy and meatballs are made every day. There are no vats of anything sitting in my walk-in”. When you go to his resto you HAVE to try the house made mozzarella;fried golden brown and topped with “sauce”, it’s just fabulous! Everything on the menu is taste tested by Steve personally. If he wouldn’t eat it at home, it doesn’t go on the menu, no matter how trendy it might be. He shared that he doesn’t care for sea urchin or salmon and they won’t ever appear on his menu because he personally can’t taste test them for excellence. Steve’s food isn’t fancy; it’s family style and fun. Eating his food was just like eating at my mother in law’s table. The pigs’ feet and pork braciole tasted so much like hers that my husband wanted to pick up the feet and eat them with his hands to get every glorious bite off the bones. If you ever had a good Italian American friend and got to eat at their table, that is what Steve’s food is all about. He says that the best compliment anyone can give him is “this tastes just like Mom used to make”. That’s what he is striving for. He is very smart in that he is not trying to please everyone, but he is trying to make the best Italian American food he knows how to make from the silky gravy, to the flavorful meatball to the al dente pasta. And Steve is not just passionate about his food, but feels responsible for his food. When you go to a Martorano’s and he is in house, you won’t find him touching tables, glad handing and visiting in the dining room. You will find him in the kitchen, working the line (not expediting) and taking personal responsibility for each dish that enters the dining room. That dedication to his craft is part of what earns him respect from his line cooks. All too often when you go to a celebrity chef’s resto, they are NOT the ones cooking your food, even if they are in house, because they are too busy posing for pics and greeting the guests. If Steve is in house, don’t be afraid to ask to say hello though. He makes time for his guests frequently and invites them into the kitchen for a photo opp or to give them the chance to chat. At Vegas Uncork’d he was front and center at his booth, personally serving everyone and thanking them for stopping by while posing for pics. And of course he was his gracious, welcoming self throughout. His trademark “Yo, Cuz!” could be heard as he greeted people immediately making them feel like family in much the same way his food does. Steve working the line where he is most comfortable. The menu is not extensive, it’s very approachable. The thing that triggered me into laughter, out loud, in the restaurant was Steve’s personal quotes on the menu about his food, no substitutions – “don’t break my balls” – and how you either “get it” or you don’t. 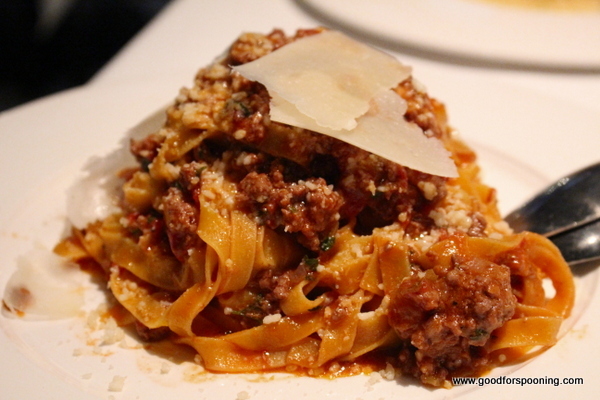 Clearly, I got it, because I enjoyed everything about my Martorano’s experience, from the ambient swing music to the movies on the flat screens to the food itself. And take note fellow restaurateurs; while the lighting was dim in the restaurant, I didn’t need to whip out my flashlight phone app to read the menu, it was backlit. A small detail for sure, but one I absolutely appreciated. Despite all of his success, two cookbooks, five restaurants and a recent segment on Jimmy Kimmel (above), and other numerous TV appearances he still feels like a bit of an outsider. He doesn’t like to be called CHEF even though he runs a kitchen. He feels he is just a neighborhood guy who cooks. He admittedly admires top tier chefs and what they do, but he feels he is not like them partially because he is self-taught. His humble beginnings and his self-effacing manner make him immediately likable. He acknowledges he “lucked into” everything. Being a restaurateur was not a dream of his. Unlike other restaurateurs and chefs who KNEW this business was their destiny, Steve had no vision of this being his future. He started cooking to pay the bills and to stay out of trouble and in some ways feels he stumbled into success. “I don’t know another guy [in this industry] that came from literally nothing and now has five joints of his own. Do you?” Indeed, both lucky and humble. 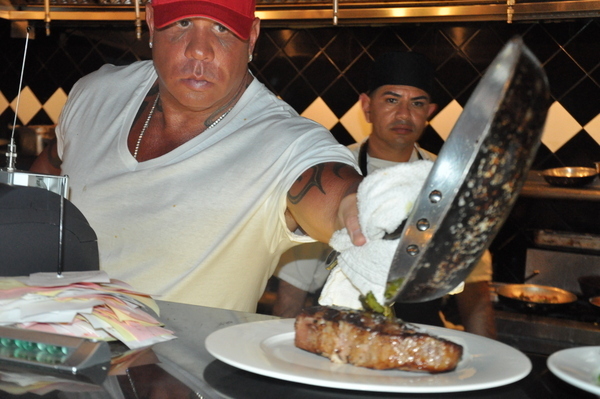 I will definately go to his restaurant on my next trip to Vegas! Loved the article! Thanks. love it and his food! His food is what I am used to when you 'go out' for Italian :) hope to meet him someday!